A new collaborative project has been launched to explore and celebrate the rich history of one of Swansea’s most famous streets, High Street. Swansea Scenes – Cymraeg. Led by Music Art Digital Swansea and supported by Swansea University’s Connected Communities Programme and the Heritage Lottery Fund, the Swansea Scenes oral history project will focus on uncovering and documenting the history of the communities who have used the social spaces of High Street since the 1800s – from music halls and Wales’ first cinema, to Wales’ first gay club and live music pubs. 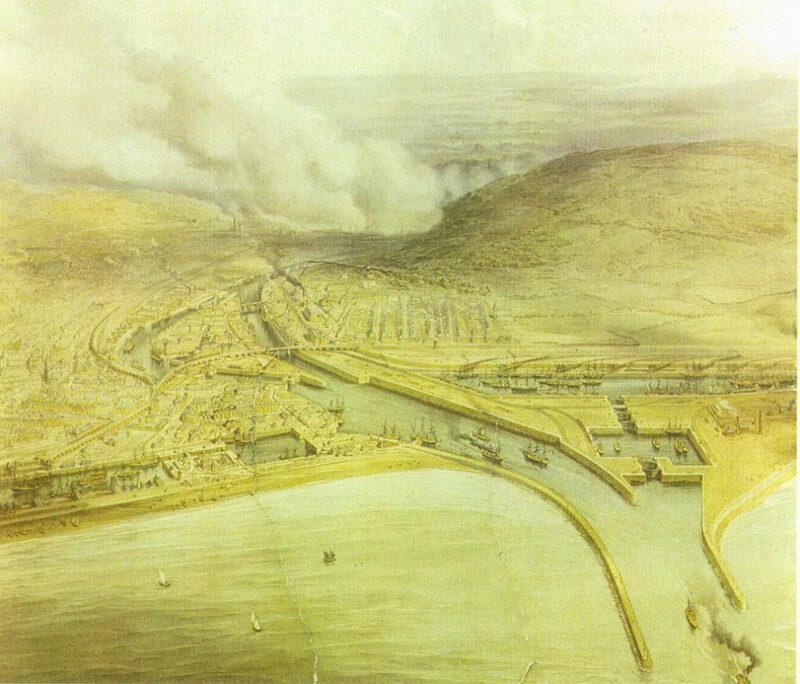 The memories and materials gathered by the Swansea Scenes project will be detailed in a feature-length documentary film, a digital archive, and a virtual museum located at various places across the city, using the latest technology to provide spaces with digital content that is linked to a specific geographical area. The Grade II-listed Palace Theatre was built in 1888 and hosted the likes of Charlie Chaplin and Morecambe and Wise, and was the site of Oscar-winner Sir Anthony Hopkins’s first stage appearance in 1960. The iconic building has had a chequered existence, being used as a theatre, cinema, makeshift morgue during the Blitz, a gay nightclub, bingo hall, and a dance club in the 90s. It was also the first venue in Swansea to show moving pictures. The Elysium Building opened in 1914 as a cinema on one level and a club for the town’s working men on another. It also contained a ballroom and a ladies reading room. The cinema closed in 1960, with the whole building eventually closing 1994. It remains derelict to this day. The Bush Hotel, a Grade II listed Georgian building, was used by Oliver Cromwell in the 17th century, after horse racing at Crymlyn Burrows. In 1804 investors met at The Bush to discuss establishing the Mumbles train, and it is said to be the last Swansea pub in which Dylan Thomas drank before leaving for the USA. The building has now been demolished. Working in collaboration with the Connected Communities Project, Swansea Scenes will look to train a core team of 15 local volunteers in heritage, oral history, filmmaking and digital design and development. The Swansea Scenes project forms part of the Connected Communities Programme that researches and celebrates the history of communities across the Swansea Valley, and has been developed by at the Research Institute for Arts and Humanities (RIAH) and the history department at Swansea University. Please visit the Connected Communities website above or visit the project on Facebook for more information: @SwanseaScenes. This entry was posted in Uncategorized and tagged Friends of White Rock, White Rock on May 30, 2017 by admin. This entry was posted in Uncategorized and tagged Friends of White Rock, White Rock on March 8, 2017 by admin. Vivian and Sons is perhaps Swansea’s best known nineteenth-century copper firm. They epitomised the town’s rise to fame as a centre of the global copper trade. This talk looks behind their successful image at some of the challenges and difficulties faced by the Vivians as they worked to establish their copper smelting business at Hafod. Drawing on evidence from the extensive Vivian correspondence held at the National Library of Wales, their efforts to produce high quality copper and to build up a substantial customer base for their products will be explored alongside their relationships with Swansea’s other leading copper firms. This entry was posted in Uncategorized and tagged Friends of White Rock, White Rock on January 30, 2017 by admin. 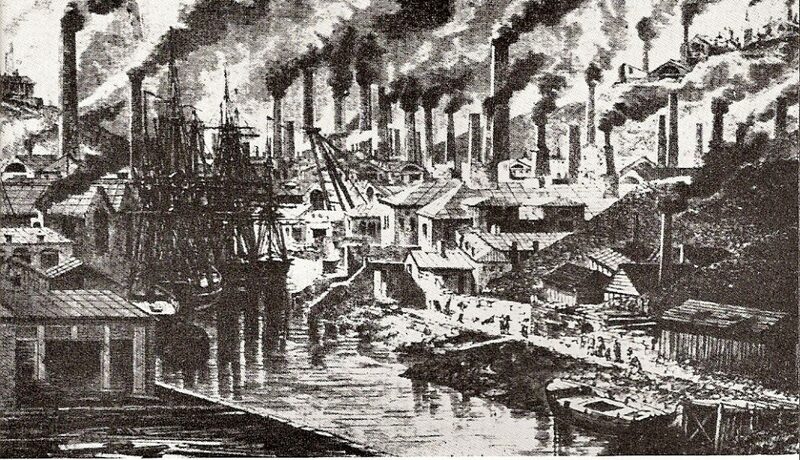 16 March: In the second lecture of the 2016 History of Capitalism series, Huw Bowen, Professor of Modern History at Swansea University, explored the significance of Swansea, the city at the centre of a world-wide trade network in the 19th Century due to its dominance of world output of smelted copper. Introduced by Hywel Williams, Senior Adviser at the Legatum Institute. This entry was posted in Uncategorized and tagged Copperopolis, Friends of White Rock, White Rock on November 16, 2016 by admin. These two links are from The Guardian, 24 October 2016. There is nothing new under the sun (if you can see the sun). This entry was posted in Uncategorized and tagged Friends of White Rock, White Rock on October 25, 2016 by admin. Distinguished scientist, award-winning author and TV presenter Professor Richard Fortey FRS FRSL, will deliver the annual Old Dy’vorians Association Lecture at the UWTSD Dynevor Campus on 20th October at 7-00 pm. Professor Fortey1 will be speaking about his new book, The Wood for the Trees2, published earlier this year. “I had dreamed of having my own piece of woodland for many years, but somehow there was never enough cash in the bank. In 2011, thanks to fronting a BBC4 television series based upon one of my books, I was suddenly solvent enough to turn that dream into reality. We purchased a small patch of classical beech and bluebell ancient woodland in the Chiltern Hills. “I soon realised that to understand the natural history of the woodland we had to explore its human history. Far from being “wildwood” it had been managed by the same estate for nearly a millennium. The wood became a research project, and this talk summarises some of our discoveries: everything from geology to a ghost story. “Now I have a clearer view of what makes “nature” in our small island. I have learned to see the wood for the trees. Professor Fortey was Keeper of Palaeontology at the Natural History Museum, London and President of the Geological Society of London during its bicentenary in 2007. In 1993, his first trade book, The Hidden Landscape, was named the Natural World Book of the Year. He won the Lewis Thomas Prize for science writing (2003) and in 2006 won the Royal Society’s Michael Faraday Prize for public communication of science. His eight major popular science books also include, Life: An Unauthorised Biography (1998), shortlisted for the Rhône-Poulenc Prize, and (2001), Trilobite! : Eyewitness to Evolution, shortlisted for the Samuel Johnson Prize, the UK’s most prestigious non-fiction award. In 2005 Earth: an Intimate History was shortlisted for the Royal Society’s Aventis prize for science books. Life: an Unauthorised Biography was listed as one of ten ‘Books of the Year’ by the New York Times. He has also written humorous books (sometimes anonymously) and comic verses about dinosaurs for children. His many television appearances include: in 2012, the BBC 4 series Survivors: Nature’s Indestructible Creatures, which took a global look at modern-day species whose ancestors survived mass extinction events in the Earth’s history. In 2013 he presented the BBC 4 programme The Secret Life of Rock Pools. In 2014, he presented the BBC 4 three-part series Fossil Wonderlands: Nature’s Hidden Treasures, when he travelled to fossil sites to learn more about the distant past. That year he also presented The Magic of Mushrooms, in which he showed that fungi (another major enthusiasm) had close but still poorly understood inter-relationships with plants and animals. Earlier this year he presented the three-part series Nature’s Wonderlands: Islands of Evolution on BBC 2. Venue: Dynevor Campus, University of Wales Trinity St David’s, De la Beche Street, Swansea. Time: 6-00 pm (Complimentary refreshments in the Dynevor Cafe) for 7-00 pm (Start of Lecture in the Samuel Roberts Lecture Theatre). Tickets: The lecture is FREE. No ticket required. Mr Phill Davies (Secretary, ODA) Tel: 01792 883978 E: phillipdavies47@btinternet.com. Dr Ted Nield (President, ODA) T: 07815 146676. E: geoscribe@yahoo.co.uk. A print-quality photo of Professor Fortey is available on request from nield@geolsoc.org.uk or geoscribe@yahoo.co.uk. The Wood for the Trees: The Long View of Nature from a Small Wood, by Richard Fortey. Published by William Collins (2016, ISBN 978-0-00-810466-5). This entry was posted in Uncategorized and tagged Friends of White Rock, White Rock on October 16, 2016 by admin.